A whole cloth quilt, made in response to a challenge set by the Contemporary Quilt Group in 2012 to celebrate their 10th anniversary, CQ@10. Mainly free motion stitch in a selection of neutral cotton threads on a black cotton sateen background. 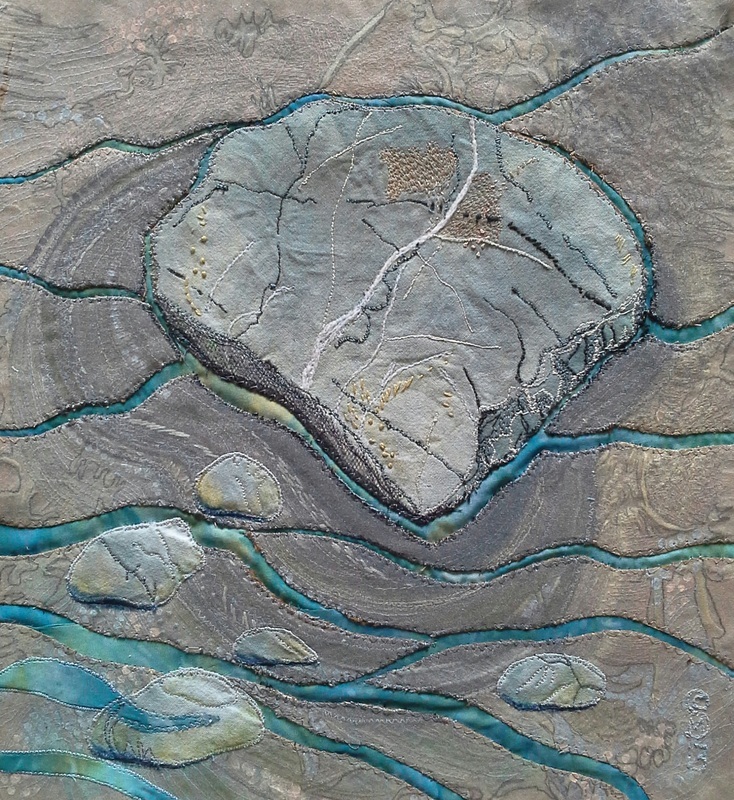 Inspired by a photograph that I took, this piece uses self dyed cotton fabric, sheers, free motion machine stitch, machine couched knitting wool, coloured pencils and hand stitch. A challenge for 2013, set by the Contemporary Quilt Group, and the theme was 'Horizons' the size 150cmx50cm. I chose to try and convey some of the challenges facing the Church of England today, using symbolism for the inclusion of gay clergy, and female Bishops. 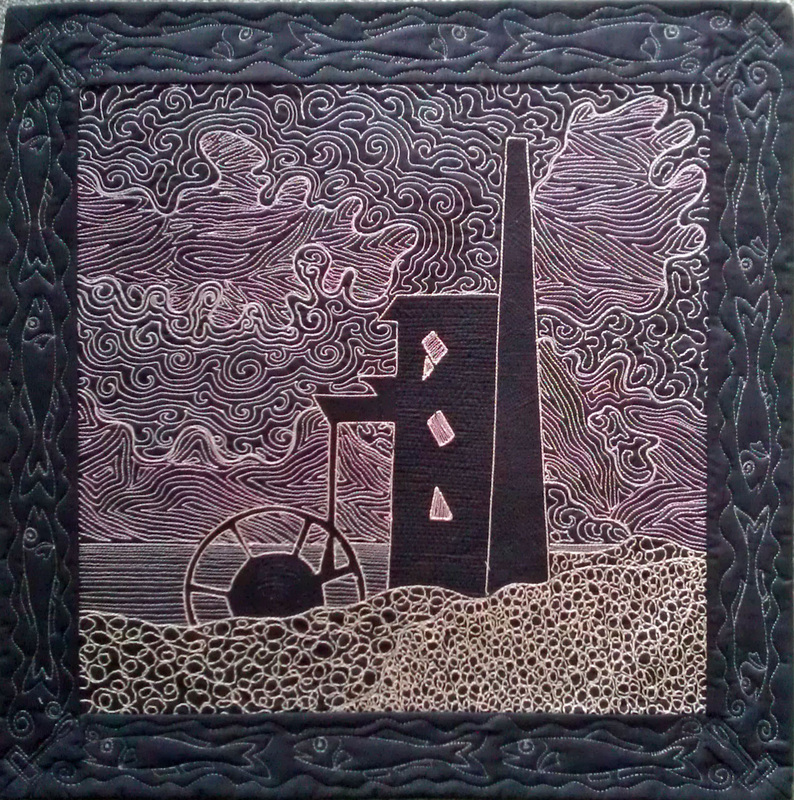 Paper Lamination, applique, free machine stitch, machine embroidery, acrylic paint and coloured pencil.